Negotiations between the union and the Denver Public School district resumed. 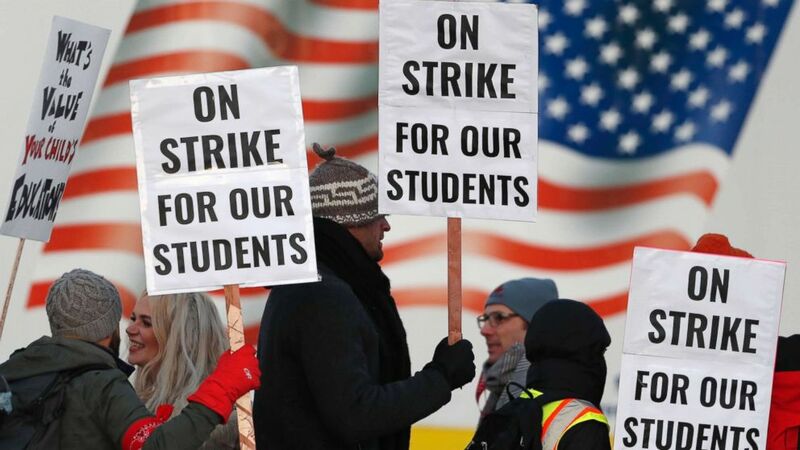 As their union leaders and negotiators for the Denver Public School District went back to the bargaining table Tuesday, thousands of striking teachers hit the picket lines for the second straight day determined to win their battle for higher pay. 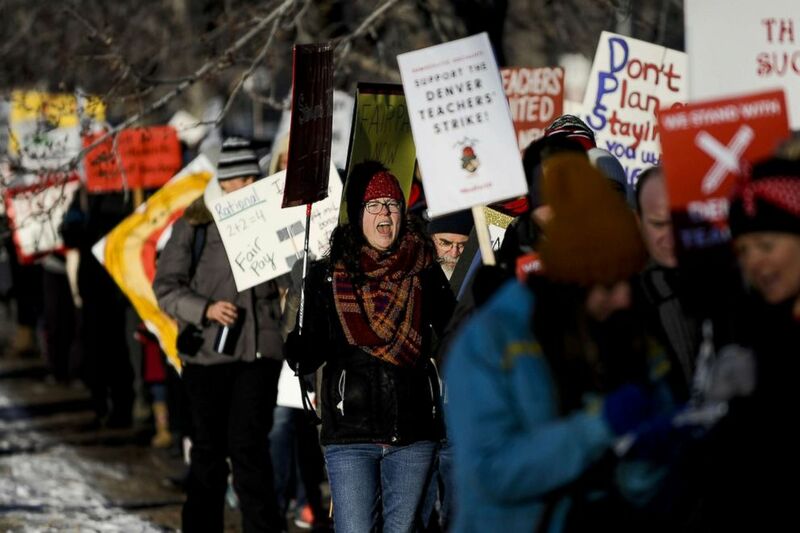 Contract negotiations, which broke off on Saturday, resumed at 10 a.m. local time and both sides said they were willing to bargain for as long as it takes to end the stalemate that led to the first teachers' strike in Denver in 25 years. "It's critically important we're here today to dig in, to get to an agreement. I am 100 percent committed to getting there," Susana Cordova, superintendent of Denver Public Schools, said Tuesday morning. The Denver Classroom Teachers Association said about 3,700 educators are participating in the strike, or about 86 percent of the teachers in the district's 160 schools. If we don't get a significant raise, this will be my last year in the Denver Public Schools. I will move back home to Montana, where I can actually afford to have a family. "If we don't get a significant raise, this will be my last year in the Denver Public Schools," Charlie Gaare, a high school English teacher, told ABC News on Tuesday. "I will move back home to Montana, where I can actually afford to have a family." Gaare, who has a master's degree, said she's been a teacher for 14 years. "About three years ago, I realized I was not going to be able to have my own children," Gaare said. "I wouldn't be able to afford to do it. I'm physically capable but don't have the money to be able to actually raise a family in Denver." "I would really like it if Susana Cordova would decide that teachers are worth investing in in a real sustainable way," she said of the school district superintendent. "It would be really nice to be able to get a raise without having to jump through a thousand hoops because we already work really hard for this community."